Yummy Field Trip! Our Day at Sweet Wind Farm! It was Friday. A beautiful Friday for March by New England’s standards. Warm enough to ditch the coat and absolutely sunny. We had plans. Plans big enough that they kept my husband home from work. We were going on a field trip! Not just any field trip but a trip to Sweet Wind Farm in East Hartland CT to learn all about how real maple syrup is made. We’d been talking about this trip for a month or two. My friend Julia had arranged everything. All of our best friends from our homeschool group would be there. I revel in days like these. There was a time when I wouldn’t have thought my life would be quite like this. Before my children were born I worked a regular day job just like everyone else. I was up before dawn, out the door at sunrise, on my feet all day, and home after dark. I had a physically and emotionally exhausting career that left me spent, used up, and spit out every single day. Never did I imagine that I could ever leave that behind. God has blessed me tremendously. I soaked up the day for all it was worth. We began with a wonderful lesson by Susan Case. She and her husband Arlow have steadily built this farm with their own two hands over the last couple of years. 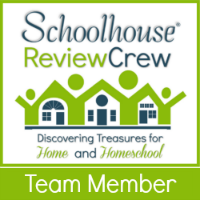 They have homeschooled children of their own and it was so evident in the wonderful way Susan handled and taught our group. She had so many props, photos, and examples. All of the children were eager and willing participants in her lessons. We were given the 5 star treatment! A complete guided tour with a great explanation of how each and every piece of equipment operates. We were especially lucky on our day as they were knee deep in production. We were told their recent groups were not lucky enough to see everything in action. Who knew making maple syrup was such a hot and steamy production! We completed our day with a taste test. How could we leave without one right? Now I’ve had real maple syrup before and I wasn’t impressed. I’m not quite sure what it was but there was something about the flavor that left me thinking… YUCK! NOT Sweet Wind Farm’s maple syrup though. It was DELICIOUS! I made Todd go back and buy a jug. YUMMY! We’ve enjoyed it nearly every day since. I think we’ll make this an annual tradition. It sure was a fine day! Thank you Susan and Arlow! See you next year! If not before! Thanks so much for a great review! I’m so glad you enjoyed your visit with us, and come back anytime. I'm a geeky, homeschooling, homemaking, business running, Jesus loving mother of 4 crazy kiddo's. This is my life!